Can the High-Level Political Forum Agenda 2030 Reviews Genuinely Reflect Needs and Priorities of the Poorest and most Marginalized? As we approach the High-Level Political Forum, which this year is focusing on “Eradicating poverty and promoting prosperity in a changing world”, 44 governments will be preparing to report against the Sustainable Development Goals (SDGs) and indicators. But will the priorities reflected in these reports match those of people who actually experience poverty, especially the poorest and most marginalized whom we are committed to prioritizing in this framework of “leave no one behind”? At the Participate Initiative, we are driven by the belief (and evidence) that our understanding of how the world is changing can be significantly enhanced through participatory approaches which bring to the fore different kinds of knowledge about the world, coming from a wide range of perspectives and mediated through multiple identities. Participate was originally set up in 2012 with an ambition to bring the perspectives of the poorest and marginalized into the post-2015 process. Members of this research network recently had the opportunity to reflect on this ambition at the Action Research Network of the Americas Conference (ARNA) in Cartagena, Colombia. Our discussions took us back to when the Participate initiative began in 2012 and our endeavours to bring the perspectives of the poorest and marginalized into the post-2015 process. To explore what has happened since then, we used a version of a game called ‘broken telephone’ to demonstrate how a message can become distorted as it is passed between different actors with their different ways of listening, recording, and translating. In this way a message that begins at the grassroots as an articulation of a local need can get lost as it becomes interpreted in terms of pre-established programmatic priorities. Participate will be present at the HLPF, presenting some of our recent research at a side event. We will be highlighting the value of data gathered through participatory processes to enhance decision makers’ knowledge by bringing it into contact with knowledge from the margins. The early evidence is showing that this convergence of knowledges is essential for poverty eradication approaches to be successful. For us, a particularly powerful example of what participatory research can offer the SDGs is the work of Praxis with Denotified Tribes (DNTs) in India. Praxis are working with this highly stigmatized group to support DNT community researchers in generating their own data about their access to health services (SDG3.8), experiences of discrimination (SDG5.1) and poverty (SDG1). This process foregrounds the rights of all and the responsibilities of duty-bearers for making these rights a reality. The challenge is for duty-bearers at all levels to take this data seriously – not only that which is recorded in surveys, but also data that is oral rather than written and that which is constructed through stories and dialogue. We find ourselves at a point in our history where all problems are highly interrelated; there is no way that these can be tackled from a single perspective. When we seek to eradicate poverty and transform the world, we need to draw on different forms of knowledge about the world we want to change, both in order to change it, and to open our eyes to alternatives to the world as it is, and be able to imagine. The convergence of knowledges is an imperative; this can only happen by opening safe spaces for those whose voices have been neglected to come into the dialogue with the same leverage. About the authors: Jo Howard and Erika Lopez Franco are researchers at the Institute of Development Studies, and coordinate the current research programme of the Participate Initiative, funded through British Academy’s Sustainable Development Programme. 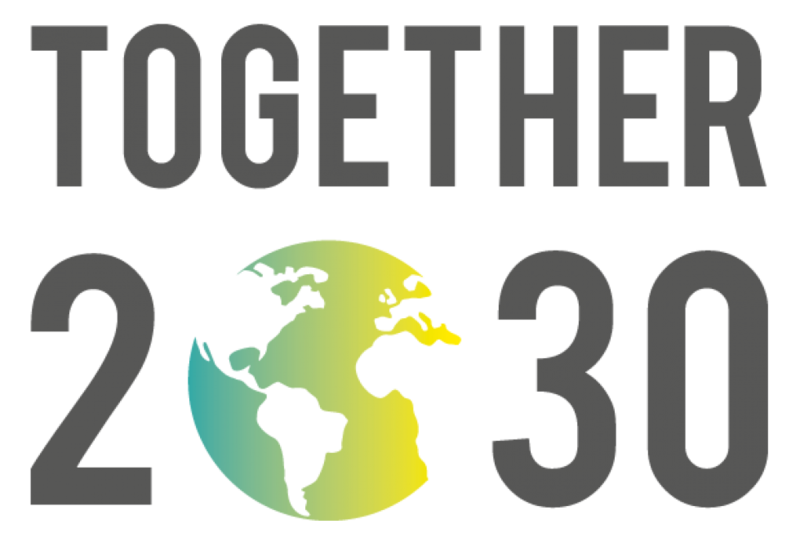 Together 2030 is a civil society initiative that brings together more than 450 organisations from 89 countries to promote national implementation and track progress of the 2030 Agenda for Sustainable Development. Previous Post Preparando la revisión de los ODS: ¿qué Pasó en América Latina y el Caribe?